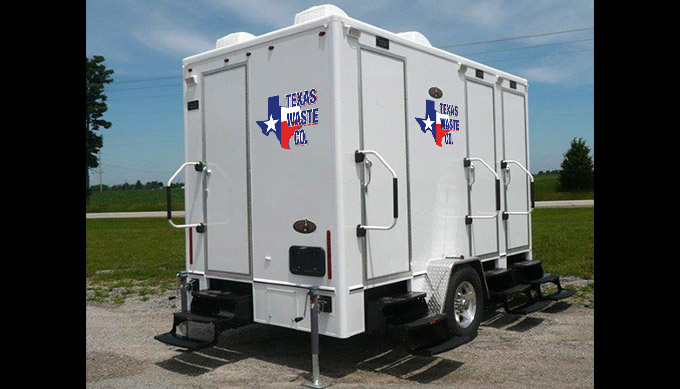 Texas Waste Co. rents 4 stall/door restroom trailers to large community events, corporate parties, and gatherings where long restroom lines are passé and portable toilets are unacceptable. 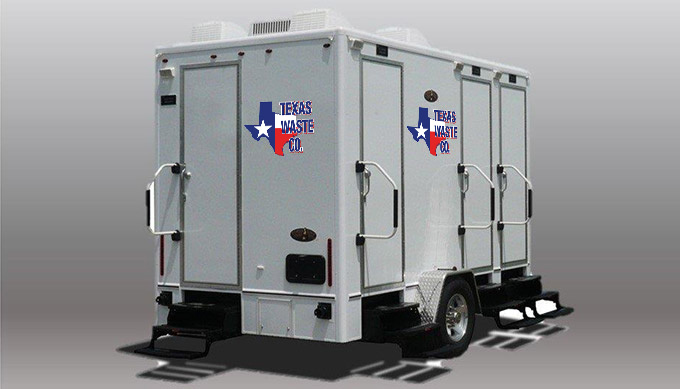 Our 4 stall restroom trailers provide customers throughout Houston with the privacy they desire and home-like restroom experience they demand. 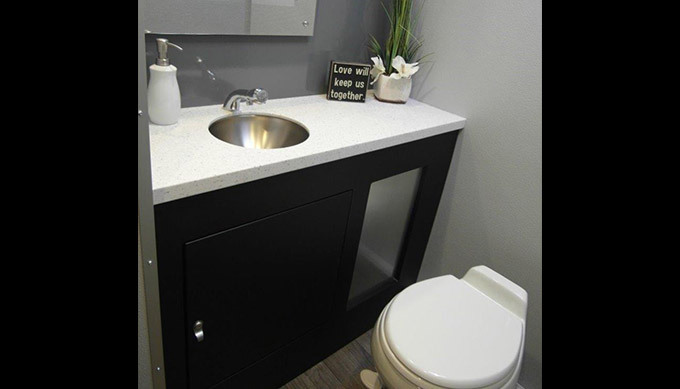 Texas Waste Co.’s 4 stall trailers are equipped with an “urban cowboy” package that features urban color schemes of grey and black with stainless accents. 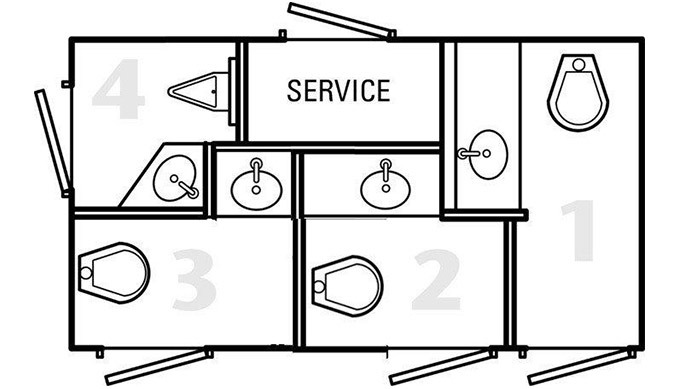 We lease our 4 stall restroom trailers by the day, weekend, week, month and year and provide escalating discounts accordingly. 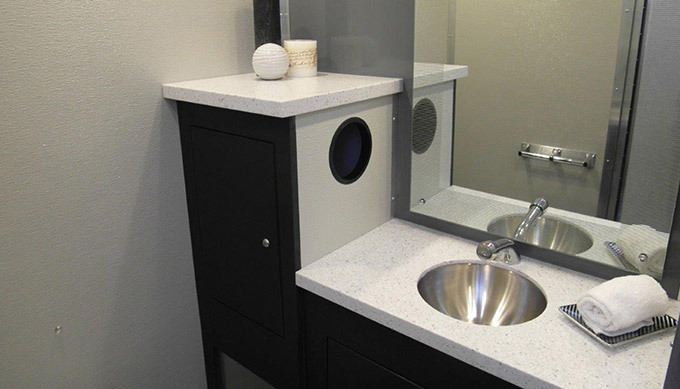 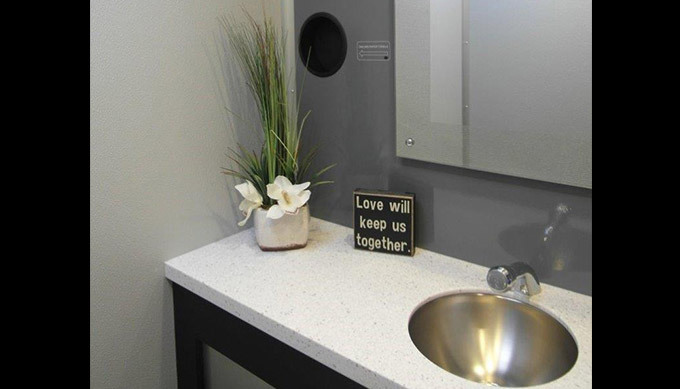 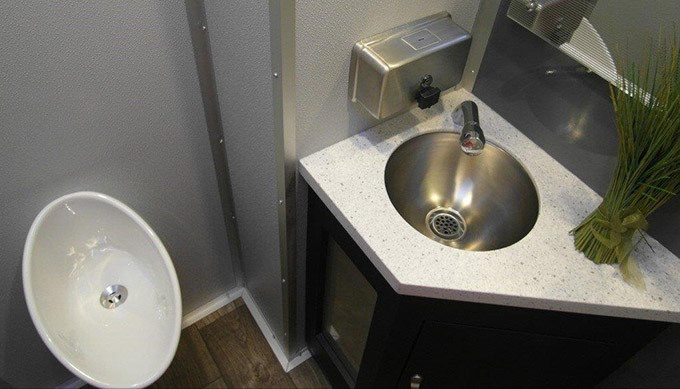 Customers are strongly encouraged to book a luxury and job site restroom trailers as far in advance as possible because there are very few restroom trailers in the Houston area during peak event and industrial seasons. 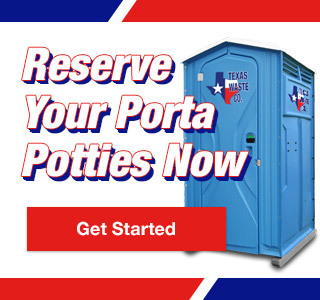 *Full service attendants are available upon request.